Develop innovative spray materials and processes to achieve desired performance of your product. Evaluate thermal spray coating solutions for specific applications based on process conditions and performance requirements. Design and develop a process map for a given thermal spray process and spray materials for process optimization. Collaborate with government agencies and academic institutes for projects related to fundamental coating process study or solving real life application related issues with thermal spray coating process and optimization. In house testing laboratory for most thermal spray coating test requirements and strong partnerships with leading labs who understand the nuances of testing thermally sprayed coatings. Why use A&A for R&D Projects? 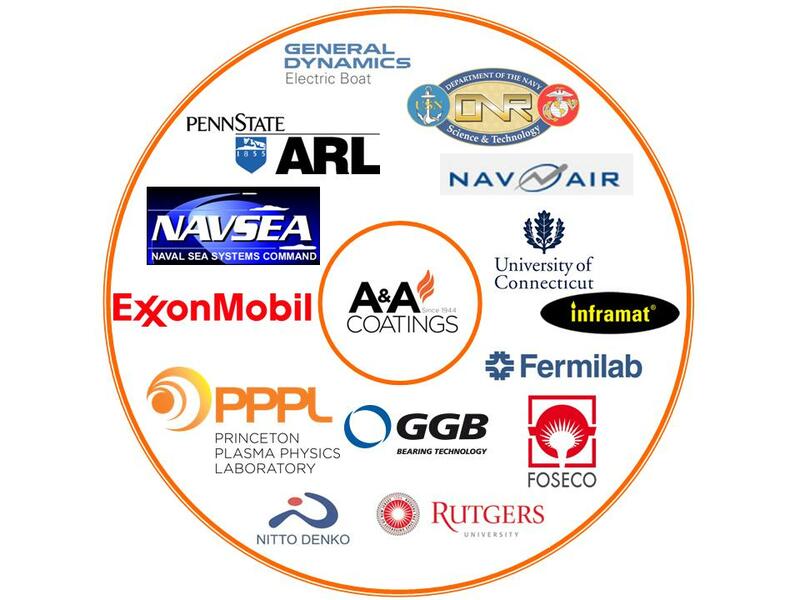 We are a leader in our industry with more than 70 years of thermal spray experience. Our Thermal Spray Coatings are a cost-effective solution for many problems. We can support small and large organizations and have experience with both.